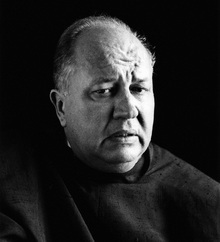 Here is a poem that came to mind this morning by a great 20th Century American poet, Theodore Roethke. His father was a horticulturist, maintained several greenhouses and plant nurseries. Roethke said once that the greenhouse was for him a universal symbol and image of life and the world. In this poem, he recalls being danced off to bed as a young boy by his father, still covered with dirt and potting soil from his long hours that day at work in his greenhouses. This entry was posted in Literature and tagged American Poetry, father's day, Poetry, theodore roethke. Bookmark the permalink.